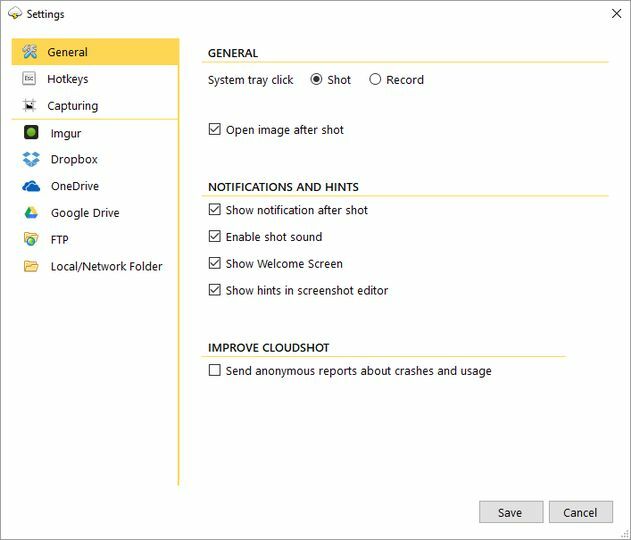 CloudShot is a screen capturing swiss army knife that can capture the entire screen, an active window or a defined region of the screen. Captured data is saved locally as JPG or PNG images files. With Dropbox integration you can save your images directly to the cloud for save keeping. The tool also has some editing features, as well as Imgur integration and FTP upload capabilities.